Heidi Schultz’s new book takes young readers along on an outdoor adventure. Schultz will talk about the book and sign copies just in time for Christmas giving at the West Tisbury library this Saturday, Dec. 15, at 3:30 pm. While I climbed apple trees, weeded gardens, explored fields, woods, and haymow, and communed with cows, horses, and barn cats, Benjy (named after Schultz’s grandson) had more exotic adventures. His quirky grandparents teach, tease, and cajole, introducing him to country ways and wildlife, imparting plenty of wit and wisdom along the way. Although colorful and engaging themselves, Benjy, Granny, and Grandpa aren’t the most important characters in this charming little book. The animals are the stars, keeping our attention with mischievous, intriguing, and sometimes destructive antics. From the hens that 8-year-old Benjy fears will peck him to a goat named Diana who looks dangerously like a deer, the cantankerous creatures keep the story moving with surprises and chuckles. Although the book reads like a memoir, reminiscences of a little boy visiting his loving if idiosyncratic grandparents, Schultz revealed that the story is not a true one. Growing up outside New York City, she did spend summers in the country, but with her own family at their vacation farmhouse in Connecticut. Years later she and her late husband Ronnee enjoyed time at their camp in Maine. 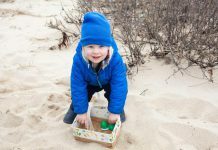 In these two locations, as well as her own West Tisbury backyard, Schultz observed animals and their colorful behaviors. Those adventures are many, the animals often challenging the humans with troublesome ways. 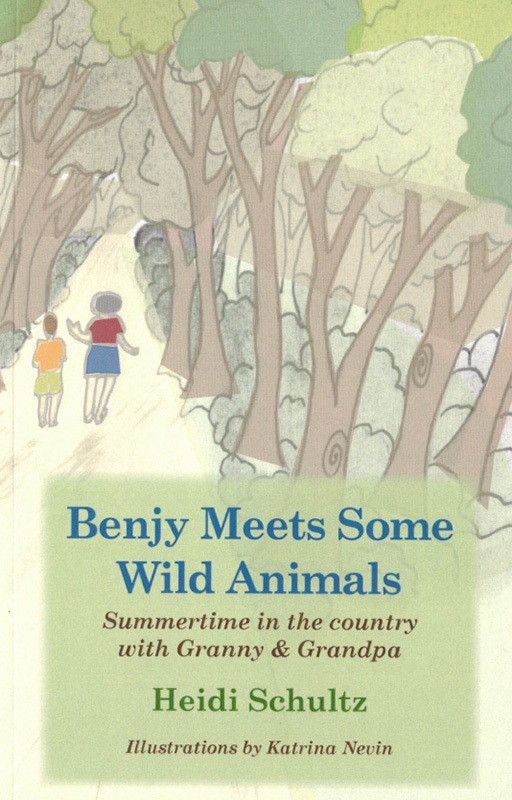 But Benjy’s savvy grandparents get the upper hand, teaching the youngster plenty of animal lore along the way. Along with learning to lasso a snake (or a “murderous” raccoon), catch and clean fish, and pluck out porcupine quills, Benjy discovers how to fend off a schoolyard bully by imitating a protective mother grouse. Yearning for a pet, he befriends a painted turtle, and helps his plucky Granny free a trapped skunk. By summer’s end he is sorry leave Granny, Grandpa, and the farm, but when his parents arrive to pick him up, an unexpected gift makes his return home a happy one. It’s hard to imagine Schultz with enough time on her hands to write a book; she’s usually found with a cello bow in her hand, practicing or performing with the Vineyard Sinfonietta, of which she has been a stalwart and active member since moving to the Island in 1956, a divorced mother of two toddlers. Schultz helped build her own home, raised her daughters, and remarried in 1971. After a short stint as children’s librarian, she became West Tisbury town clerk, retiring in 1995 after 21 years on the job. She stayed busy with her music, growing an abundant vegetable garden, and she kept chickens and sold eggs. Now on her own since her husband’s death from a heart attack in June 2017, Schultz’s days are filled with needlepointing, organizing the Vineyard Sinfonietta’s extensive music collection, and tending the wood stove in chilly weather. In the midst of all this, she quite unexpectedly found herself preparing her book for publication. She decided to publish her story, wishing it might bring cheer and insights to readers too, and now is delighted to share it with friends and neighbors after all these years. First stop was Tisbury Printer, to consult with Chris Decker and Janet Holladay, who provided design and production. Placing a newspaper ad brought her a dozen potential illustrators. She quickly chose Katrina Nevin. “Early in the game I fell for Katrina’s pictures,” Schultz shared. 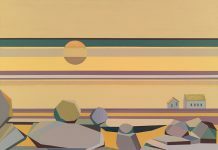 Nevin, who grew up in Edgartown, was a perfect choice, sharing in her biography that she has been an artist since childhood, and is inspired by nature, animals, and plants. Her simple, graceful drawings bring the fun story to life, from the cover image of Benjy and his granny strolling a forest path to close-ups of animals and scenes of barnyard, fields, and woodlands inside. In her introduction, she promises animal facts, suspense, and excitement, and advice to the young about how to cope with tough situations. “There is instruction, love, humor, and a show of gentle consideration for the dignity of others, both wild and human,” she writes. Book launch party with author Heidi Schultz, Saturday, Dec. 15, 3:30 pm. West Tisbury library. Free. For info, call 508-693-3366.